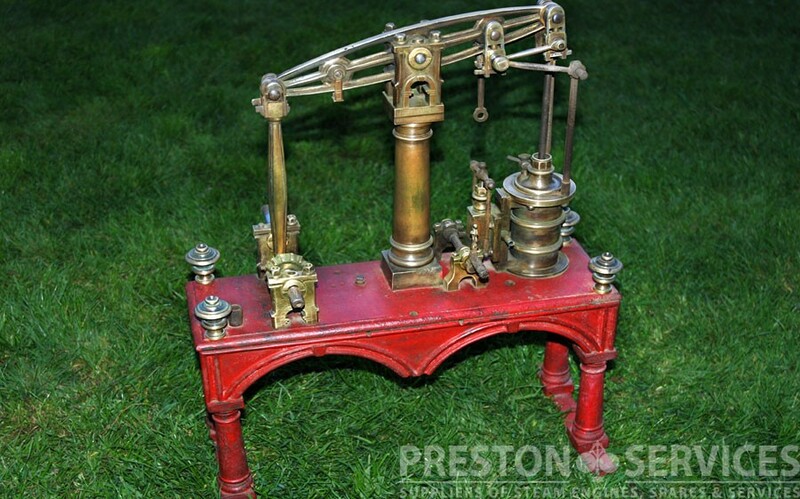 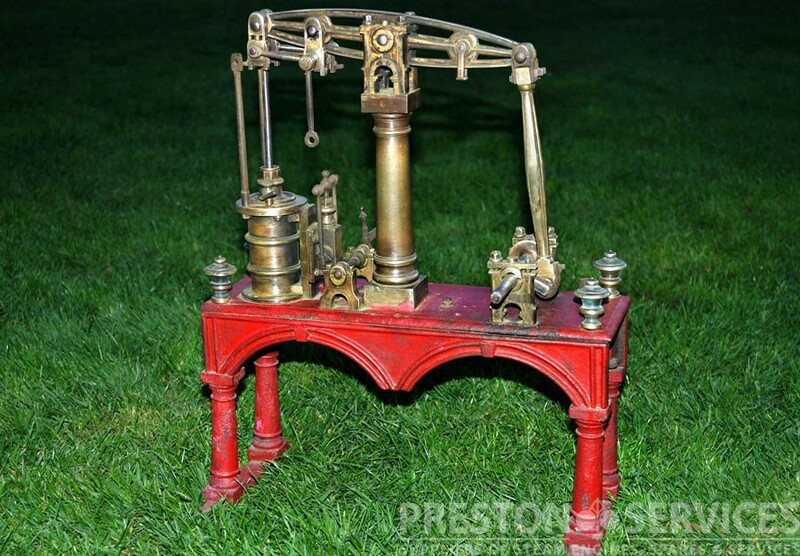 A very well made Victorian miniature beam engine with Watt parallel motion and 1 1/2″ x 2 1/2″ cylinder, measuring 16″ long x 20″ High. 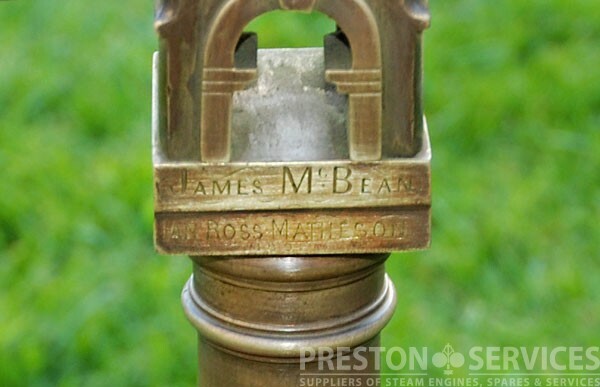 Central column etched with makers names James McBean and Ian Ross Matheson, 1891. 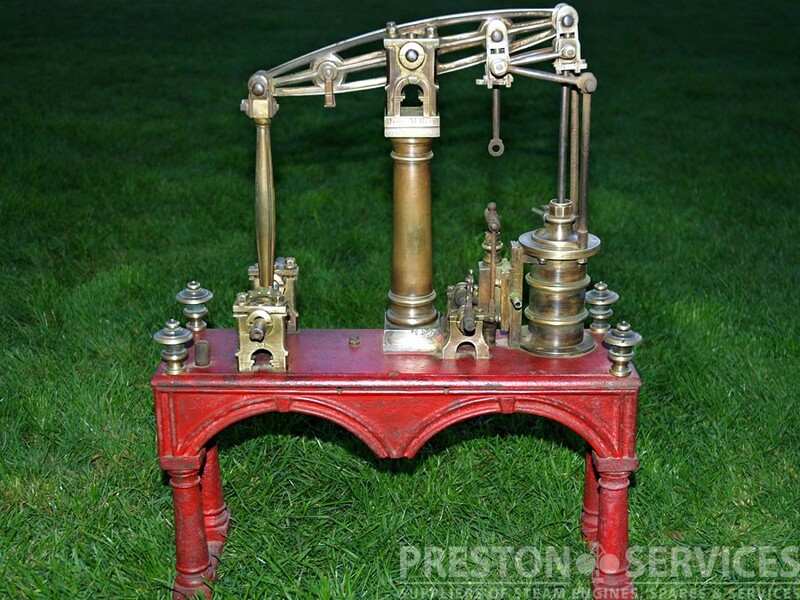 This is a water pumping beam engine on columned cast iron frame with gilded urn detailing. 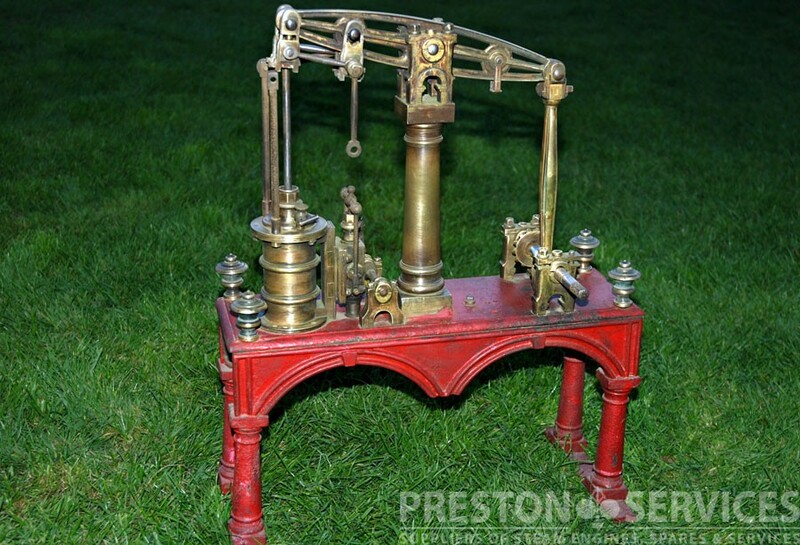 This rare antique model is very nicely detailed, although flywheel, governor and other parts missing, and needing some sensitive restoration. 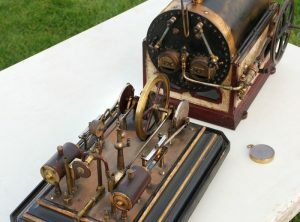 Generally in nice, untouched condition. 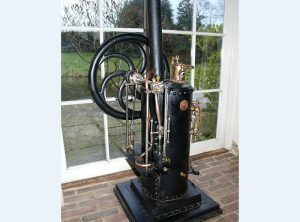 A nicely made all brass horizontal steam engine and spirit fired vertical boiler, built c1880’s. 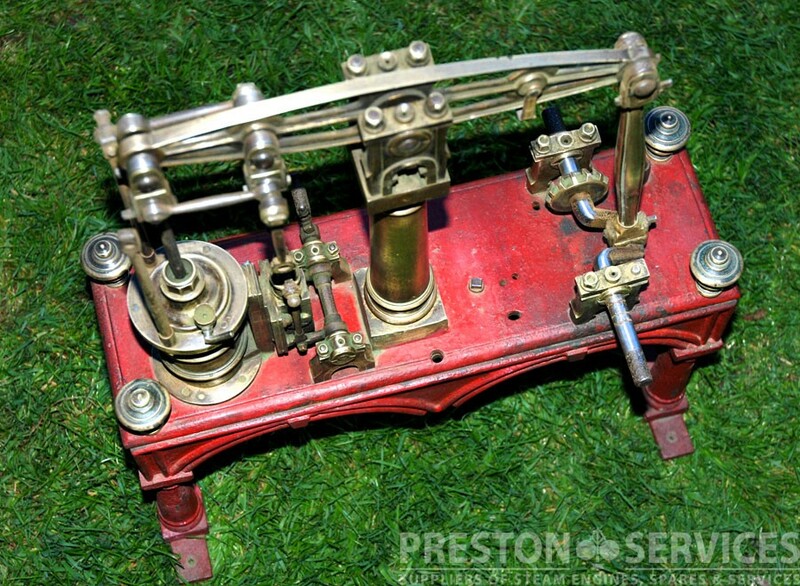 All mounted on a polished timber baseplate with brass handles. 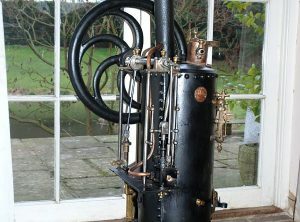 An unusual working model 2 cylinder horizontal steam engine and cylindrical boiler, displayed at the 1888 Engineering Exhibition in Sheffied and complete with original commemorative medallion. 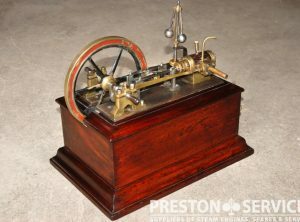 This exceptionally nice antique model is excellent and totally original condition, built the the highest standards of the time. 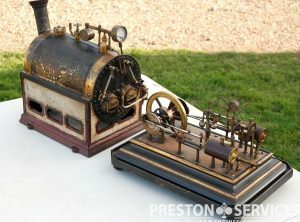 9 model stationary steam engines, including vertical and horizontal types, unusal enclosed, Grasshopper and other types of beam engine, and a workshop engine, most fitted with electric motor drive for display purposes. 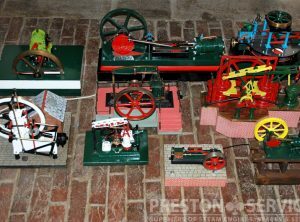 Available for sale either as a collection or seperately. 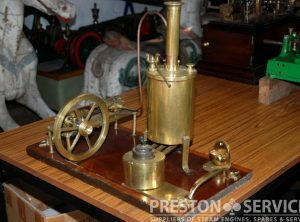 A Stuart electrical generator plant comprising boiler & horizontal mill engine driving dynamo, with hand operated boiler feed pump. 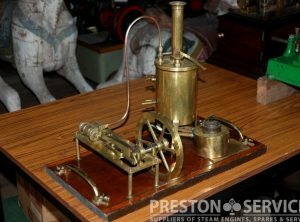 This very nice model plant is thought to have been professionally made for display purposes in around 1930, probably by Stuart themselves. 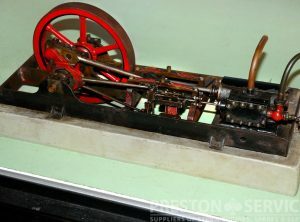 Cylinder approx 1″ bore x 3″ stroke. 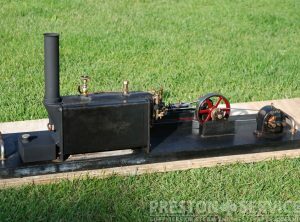 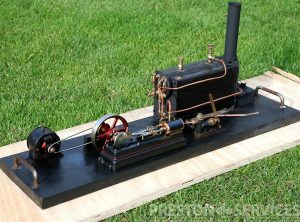 This is a nicley made miniature horizontal steam engine thought to be of c1930. 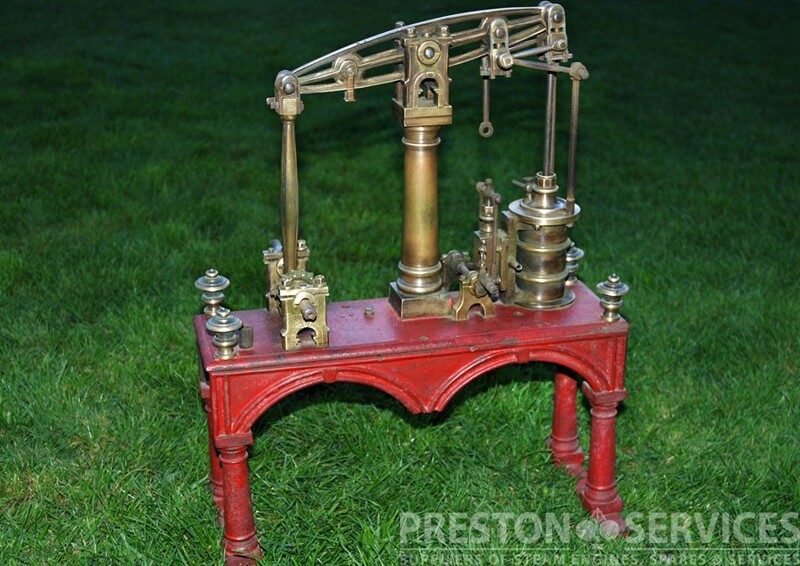 Bed frame is mounted on a wooden base approx 20″ long x 7″ wide overall. 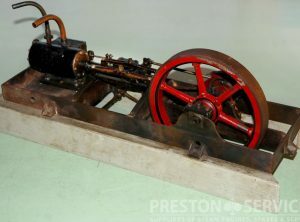 In nice, untouched condition, this engine will benefit from a little cosmetic improvement. 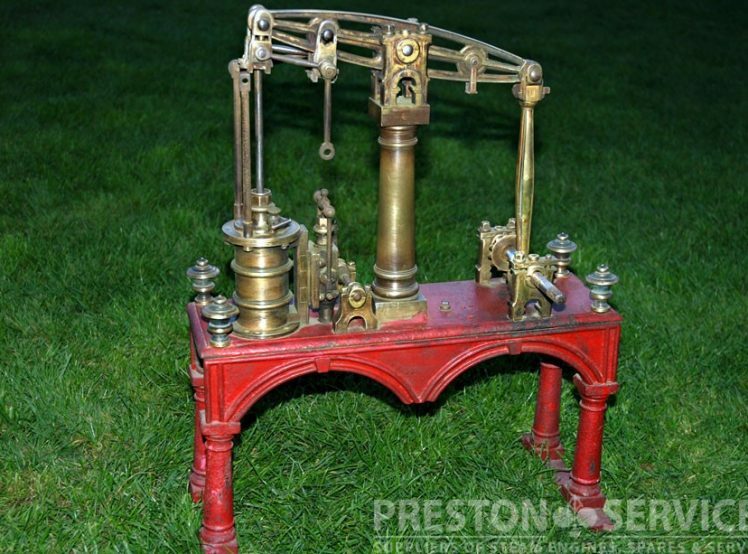 A simple but attractive inverted vertical engine on 4 columns and with solid flywheel. 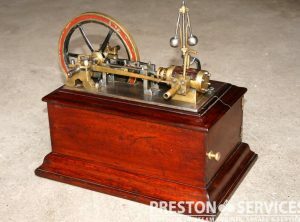 Approx 3/4″ x 2″ cylinder. 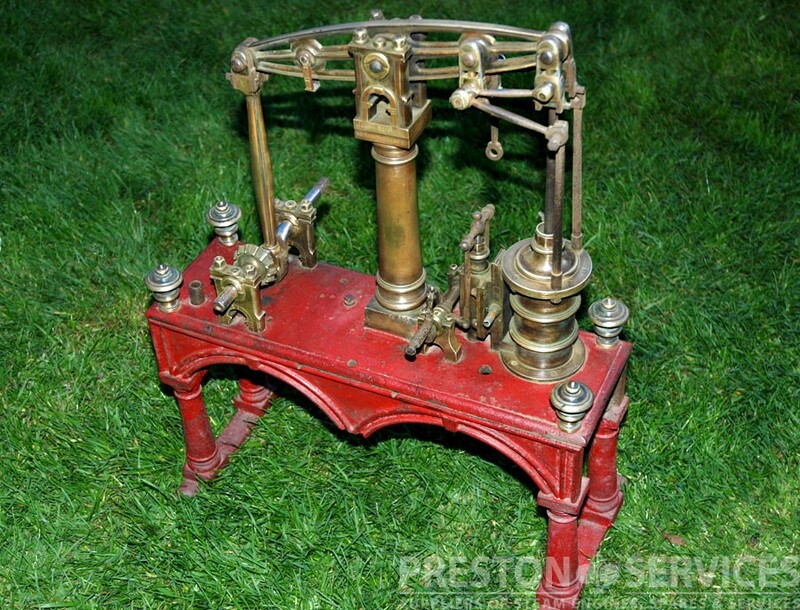 Well made and in good condition.